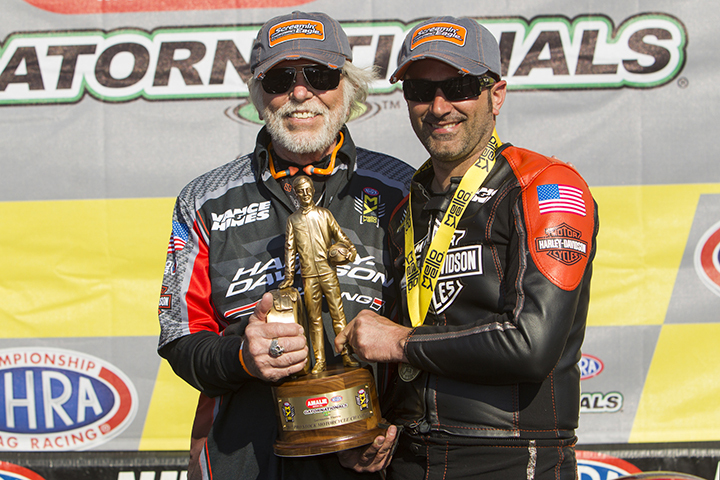 As the defending world champion, Pro Stock Motorcycle’s Eddie Krawiec wants to keep that momentum going as the class opens its 2018 season at the 49th annual AMALIE Motor Oil NHRA Gatornationals, March 15-18 at Gainesville Raceway. 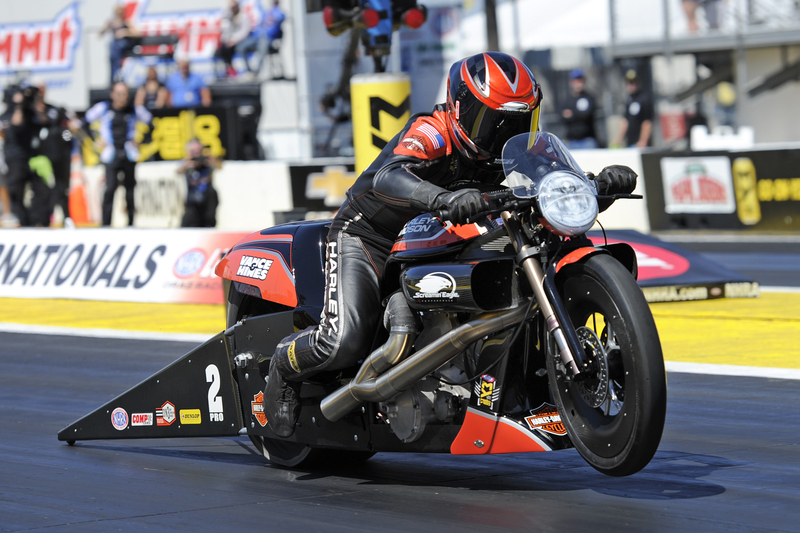 A five-time event winner, Krawiec, who won in Gainesville in 2017, also hopes to add another impressive performance on his Screamin’ Eagle Vance & Hines Harley-Davidson to his resume at the legendary track. 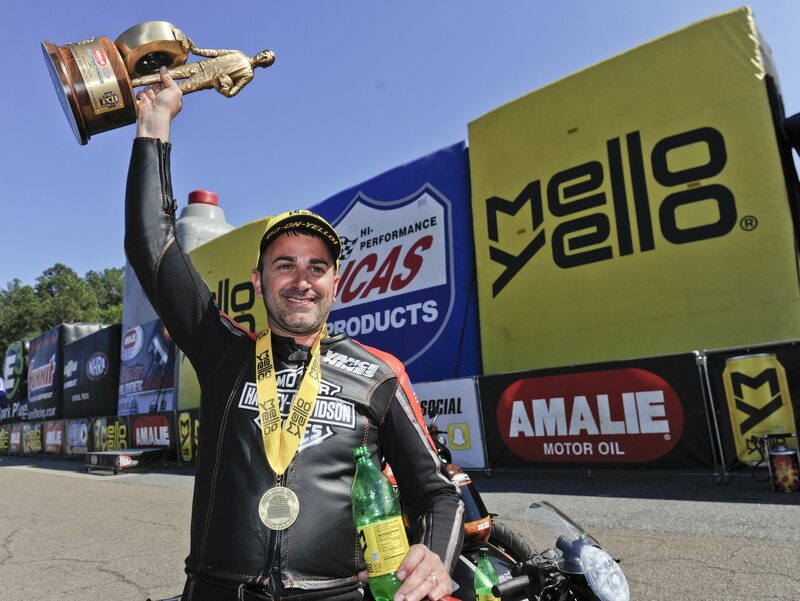 But above all, Krawiec has something even more specific on his mind at the Pro Stock Motorcycle season-opener, all revolving around a historic first in the class. Tony Schumacher (Top Fuel), John Force (Funny Car), Shane Gray (Pro Stock) and Krawiec were last year’s winners of the NHRA Mello Yello Drag Racing Series event that will be televised on FOX Sports 1, including finals coverage on Sunday, March 18 at 7 p.m. (ET). 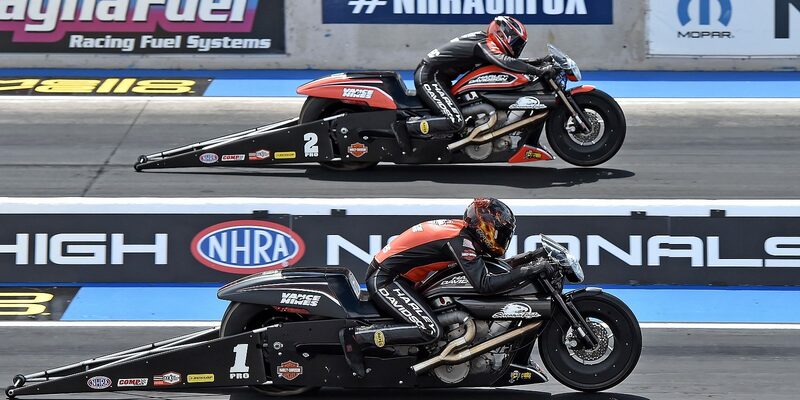 It is the first of 16 races in a loaded Pro Stock Motorcycle class, but that high level of competition continues to bring out the best in Krawiec. He was dominant in the Mello Yello Countdown to the Championship en route to his fourth world title, but Krawiec remains driven to make history. That includes making the first 200 mph run, but he spoke glowingly of a class that continues to add depth. In Gainesville, he will face off against the likes of five-time champion Andrew Hines, 2016 world champ Jerry Savoie, two-time world champ Matt Smith, Hector Arana Jr., Scotty Pollacheck, Karen Stoffer, three-time champ Angelle Sampey, and Joey Gladstone. Krawiec did that a year ago, when he won four playoff races and five of the final seven events, going 24-2 in eliminations during that span. Krawiec said that stretch was the best he has ever raced in his career, and he was certainly locked in, putting together incredible reaction times and one of the most impressive performances in Countdown to the Championship history. The goal now is carrying that level of focus and performance into 2018, but Krawiec expects nothing less heading into Gainesville. The event is the season-opening race for the E3 Spark Plugs NHRA Pro Mod Drag Racing Series presented by J&A Service. It also features thrilling competition in the NHRA Lucas Oil Drag Racing Series, where future stars of the sport hone their skills, as well as the Mickey Thompson Tires NHRA Top Fuel Harley Drag Racing Series. Following nitro qualifying during the weekend, a jet car operated by Douthit Motor Sports, with David Douthit running the “Black Pearl” Jet Dragster, will thrill the fans at the Gatornationals. Known for their exciting pre-run flame shows and after burner pops, jet cars are thrust driven vehicles propelled by jet engines. After Record-Setting Season, What's Next For Larry "Spiderman" McBride?